Customize your own Canvas Tote Bag! 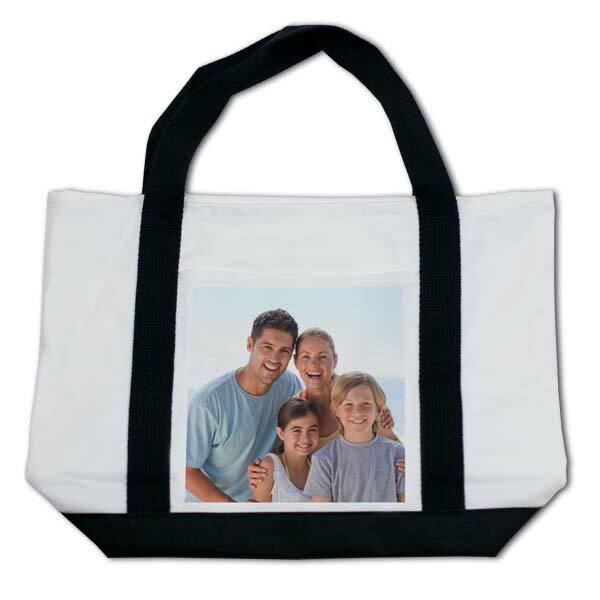 Perfect for the grocery store or beach, a Personalized Canvas Tote Bag is ideal for a variety of uses. Add your favorite photo and take it with you where ever you go. Not only are they great for picnics, and vacations, they make the perfect accessory to take with you to work everyday. Add your favorite snapshot of your family or your pet’s cutest pictures for a personalized look. Above all, it’s a unique accessory that’s not only practical, but stylish too! Looking for more custom printed bags. Our eco-friendly custom grocery bags can be printed with multiple photos and a variety of backgrounds to compliment your personality!